OK, readers. Skin care is important. I don't care if you are 19 years old right now, you need to start planning ahead! I'm obsessed with skincare and never leave the house without, at a bare minimum, cleansing and putting on moisturizer with SPF. As you get older, you start to realize whatever you lose with regard to your skin, you can never get back! I saw a makeup forum where girls were all signing up for these, and they did seem to be customized to each person. Some people got fewer samples, as well, based on the product recommendations for them. 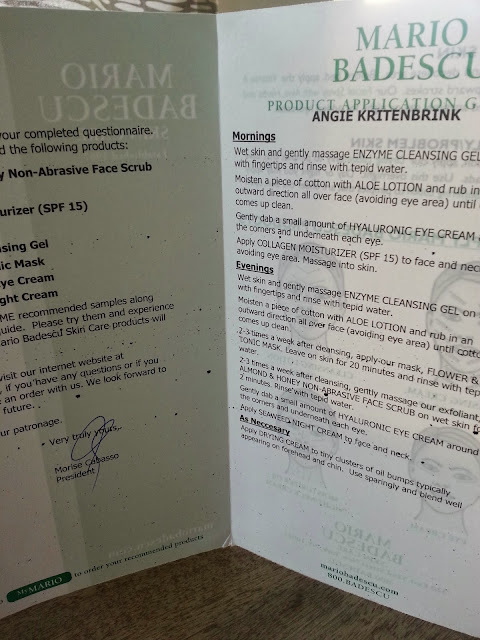 The samples also came with a nice little brochure that told me how to use each product. You can tell it was based on my skincare quiz results because it is printed out with my name and all the specific samples they sent me. What great customer service from Mario Badescu! I also had a couple of questions about the site and was able to connect to a chat specialist right away, even on Sunday. Customer service is huge to me - there are SO many skincare brands out there that it makes a huge difference when you can expect good customer service through the brand. The one thing I think the site is missing is that it doesn't save the recommendations they sent you. So if you do this deal, hold on to your card! Drying Cream Haven't had a chance to try it, don't need right now ? *If I needed eye cream and was already doing a Mario Badescu order, I would get this. But I probably have enough eye cream samples to last me the rest of my natural life, so I doubt I will ever need it. 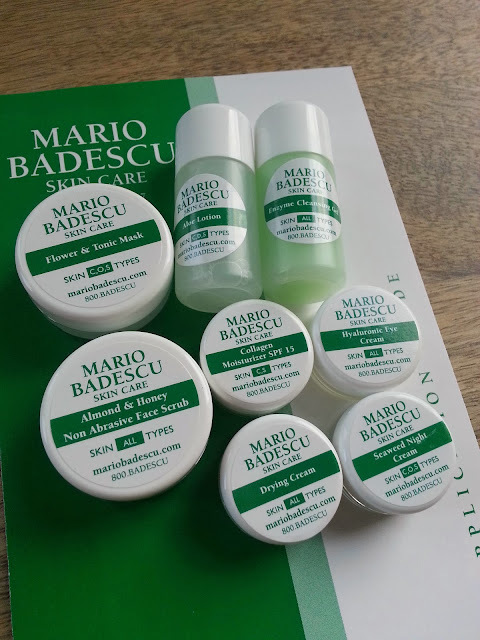 Have you ever tried Mario Badescu stuff? Let me know in the comments!